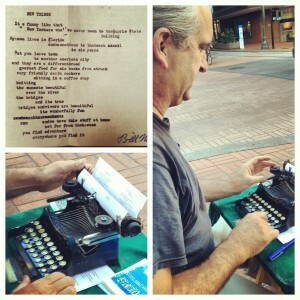 There are a few street poetry guys in PDX! They are all good! 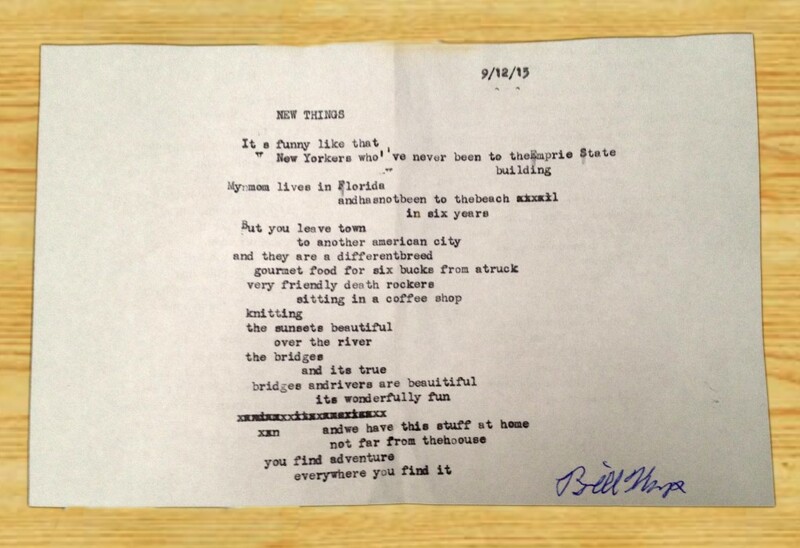 I have a 25 cent poem that was written as a love letter from Love to Music. Thanks for the acknowledgement. I loved those cat bowties. It was also a pleasure to meet you. Cat bowties is one of the many reasons Portland is my favorite community in the country. If I didn’t have such a depressive streak in me, I’d call it home; but no sun for months at a time is too much. P.S. I will be 50 on May 3rd. Oh gosh! I am so embarrassed! That is what I get for posting about an event that happened 7 months ago… the details become a little hazy. Perhaps it is your endless wisdom that got me overestimating your age. =) Will fix immediately. Keep up the great work, you inspire people everywhere.